Dr. Robert Reiss has been President of Bronx Office Support, Inc since April 7, 1999. Bronx Office Support, Inc is a management company that manages medical practices. Dr. Reiss currently oversees a staff of over 300 for a multi million dollar company. Prior to his present position he served in a similar capacity for New York Total Health Care Management, Inc since March 1996. 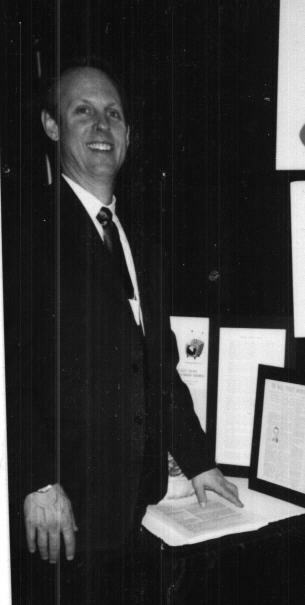 Dr. Reiss was the 1996 "Chiropractor of the Year" for the New York Chiropractic Council. He also was a charter member of the same organization in 1989. He has served as district representative and as one of 3 Executive Officers for the Council for the past 8 years. He served as Co-Chairman for New York States most successful chiropractic convention for 3 years. He believes that the success of any project is dependent on the communication amongst team members. He is an experienced lecturer on various topics that include Time Management; stress reduction and health related issues. His leisure activities include playing basketball, skiing with his wife and two daughters, reading and listening to music. The All Company's business model will allow it to own many sites on the Internet utilizing its over 400 "ALL" Domain Names. Advertisers, direct marketers, and merchants will have a direct link to the audience they want to reach. The All Company anticipates its two premier sites will prove this, and that there will be continual growth as the Company branches out into other categories.